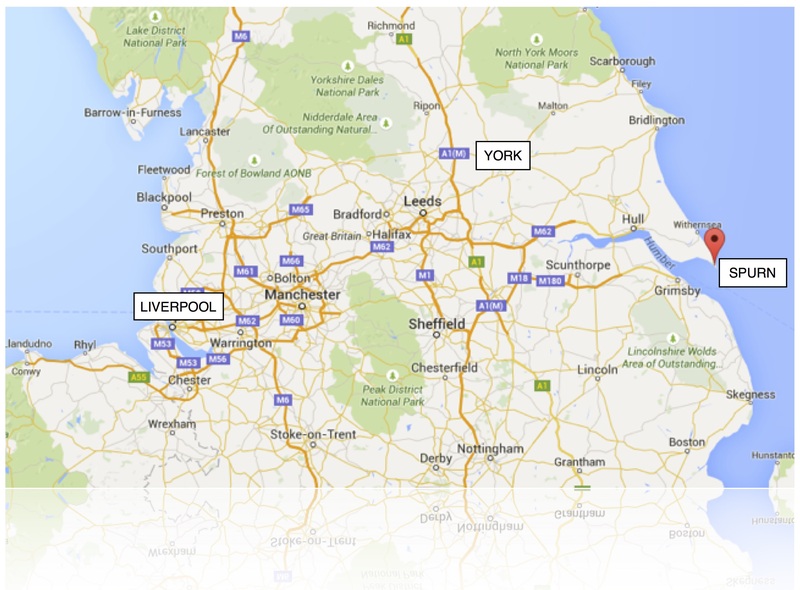 So then, what’s East of Hull? ‘Rotterdam?’ I hear you ask. 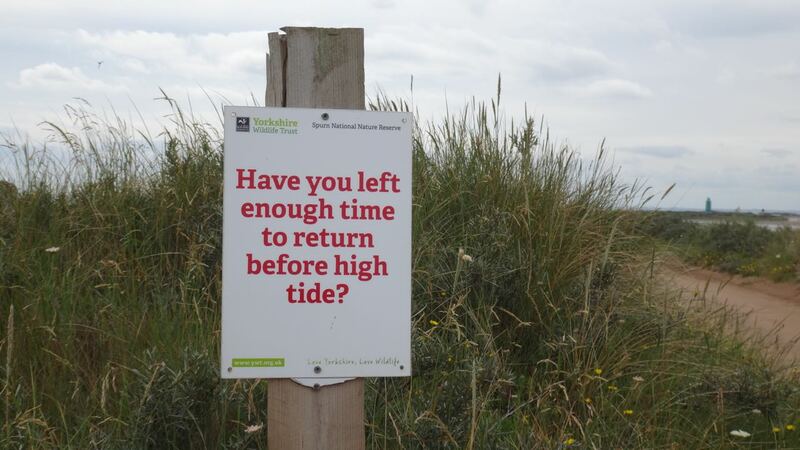 Well yes, but before you get there is the strange, flat, watery, eroding and beautiful place where Sarah’s just stayed. 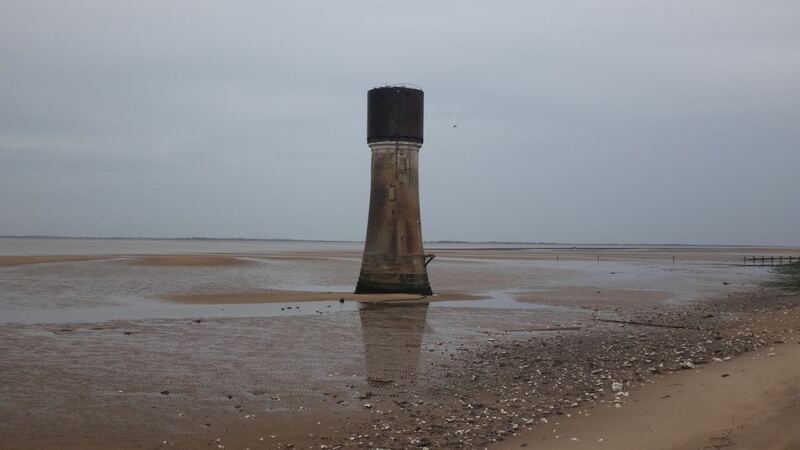 “Sarah Horton here, reporting from a recent trip to ‘the end of the world’, as I described the Spurn peninsula to Ronnie! ‘Spurn,’ you say, ‘where’s that then?’ Well it’s what’s to the east of Hull, and it’s one of the strangest and loveliest places I’ve ever visited. Read on for more. I’m the sort of person who likes time alone, always have been. My work as a funeral celebrant is demanding and challenging, so I’ll often take time away to recharge. Right now, I’m not working, as I’ve been involved in a road traffic accident with a big truck, leaving me without a car, shaken, vulnerable, and in need of some time to recover. Feeling a bit restless after four weeks of rest, physio and emotional support, I’m ready to step back into the world – very gently – and see what that feels like. I’m surprised that one of the questions I’m most often asked by people during my visit is ‘Why have you come here?’ Because this isn’t the sort of place you happen to travel through. You’re definitely coming here, you’re not ‘just passing’, as Sue at my B&B said with a smile. I stayed at Westmere Farm Guest House, run by Sue and Andrew Wells. They couldn’t have been more welcoming and made sure my visit was comfortable. Andrew even gave me several lifts in the car to help me out while I was there – a really interesting situation to find myself in, without a car in a rural area, nearest bus stops three miles away, and no buses on a Sunday. Put things in perspective for me about city travel! So after three buses, two trains and a kindly lift I arrive at Kilnsea, put my bag down and after a much welcomed cup of tea and cake from my hosts, I get off for an explore. Yes, I have arrived at the end of the world. I notice that some of the buildings are built of stone, much like I’ve seen in Norfolk. 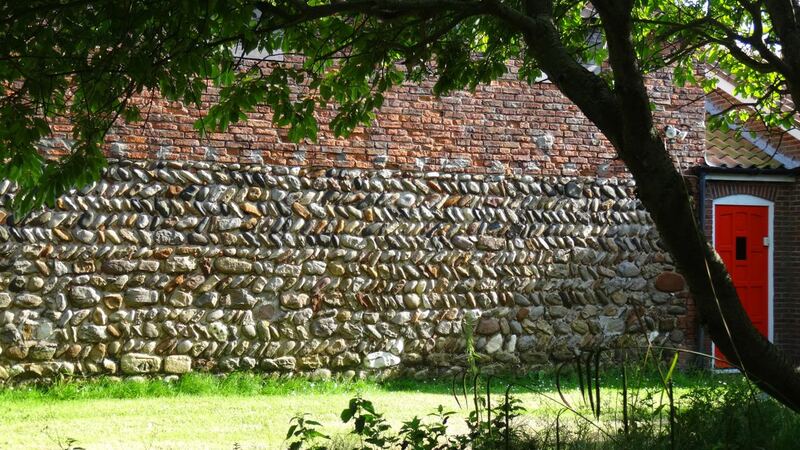 I find out later that due to the brick tax that was introduced in 1784, increased use was made of stone and cobbles, and they were in fact collected from Spurn, which we’ll get to. I’m now on the ‘other’ side of the peninsula, which is very narrow now. On this side the sea pounds the beach. On a sunny July evening this looks innocent enough. But in fact, this is the fastest eroding coastline in Europe. 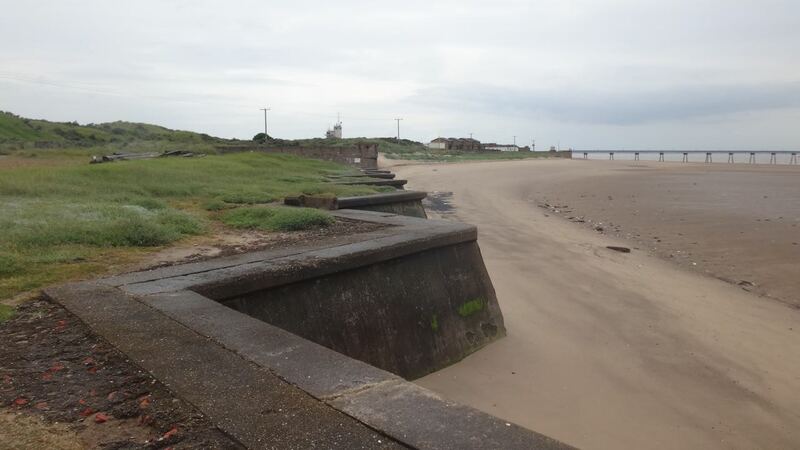 These are the remains of Fort Godwin Fort, a coastal battery used since 1915 to defend the Humber. 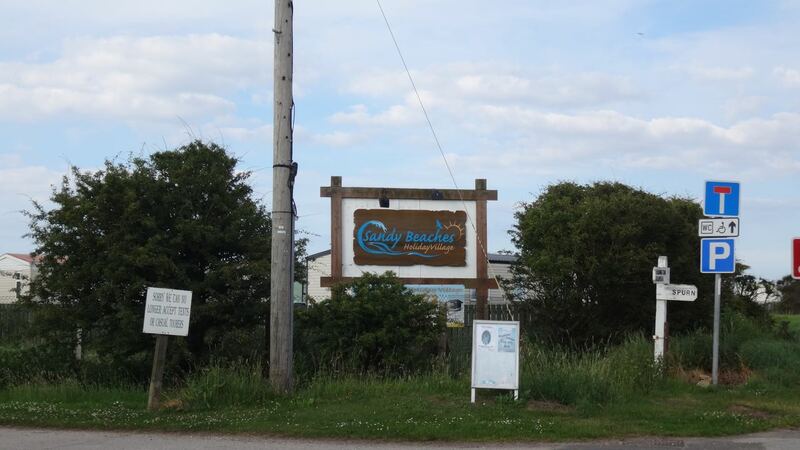 The site was sold in 1960 is now a caravan site, Sandy Beaches. Not surprisingly the pitches near the cliff are not in use. 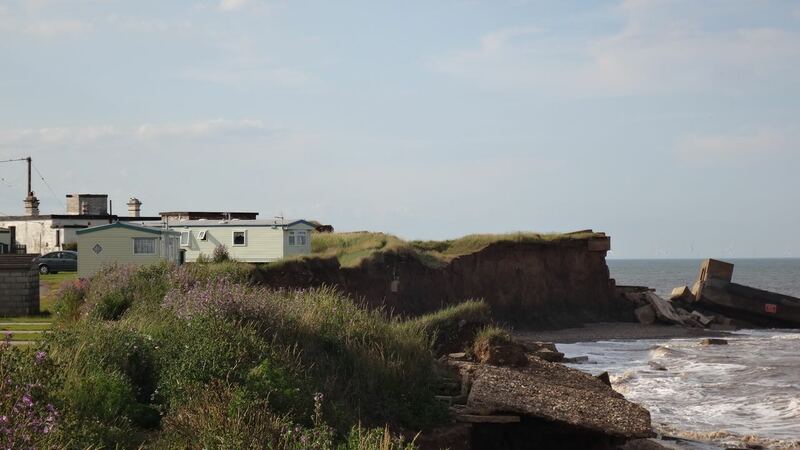 Due to the erosion, the caravan site have a planning request to move further back, into the village. Seems that’s not been received very well be the locals. And I also notice something else that’s not been received very well by the locals. In fact, it makes me feel a bit uneasy about being a ‘visitor’ here t all. I wonder what that’s all about? There is a closed ‘visitor centre’ of sorts, the old Blue Bell Inn, which is due to re-open later this month, in July 2015. This is now almost on the coast, but that’s only because of the erosion. This used to be over 500 yards from the sea. There’s also a map which shows just how much coast has been lost in 150 years. Which is pretty staggering. 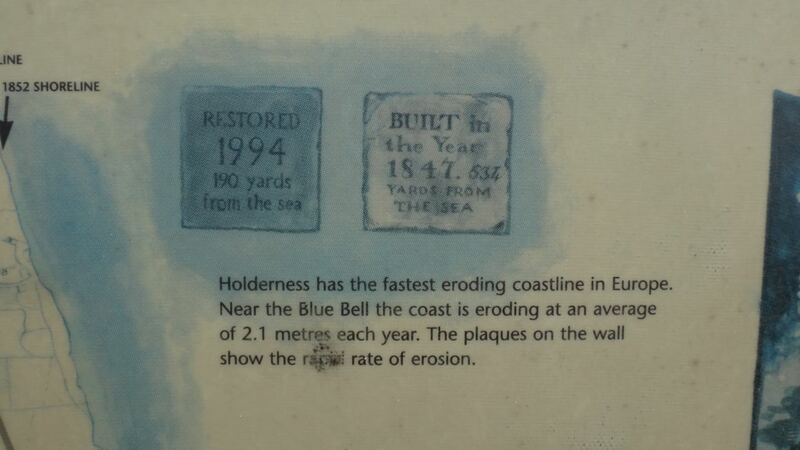 So, welcome to Kilnsea, where coastal erosion is two metres a year and they don’t want any more visitors. To end my day in true hobbit adventure style, slightly mystified by what I have seen, I have my evening meal at the local hostelry, the sun sets and all is well. The hobbit has arrived east of Hull. The next day, I feel like I’m on the set of a Pink Floyd album cover. 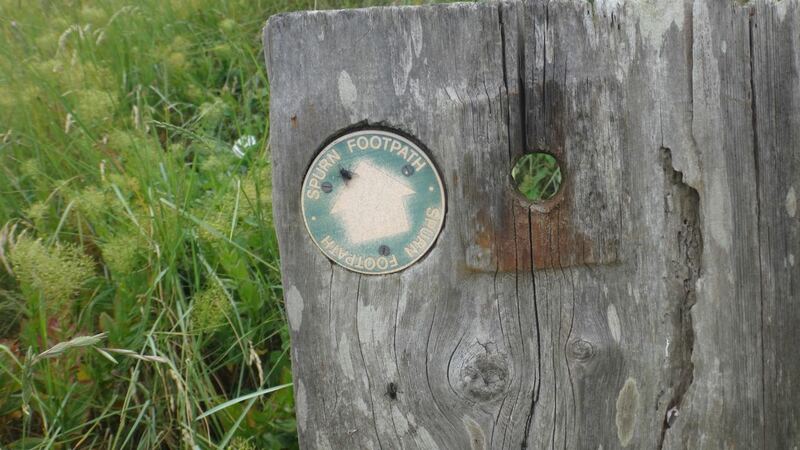 Actually, I’m exploring Kilnsea wetlands, a nature reserve behind Westmere Farm. And this also is where the ‘sound mirror’ is located. 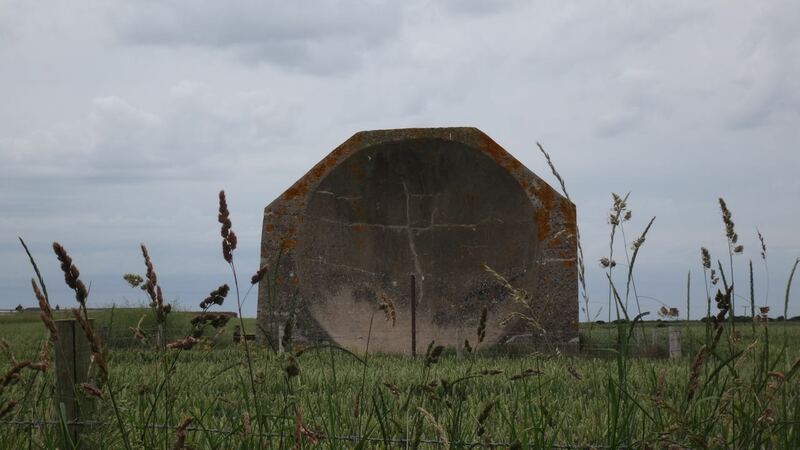 This is a device – a large concave concrete structor with a collector head – that was built during the First World War to detect enemy aircraft engine noise, in particular Zeppelin airships. 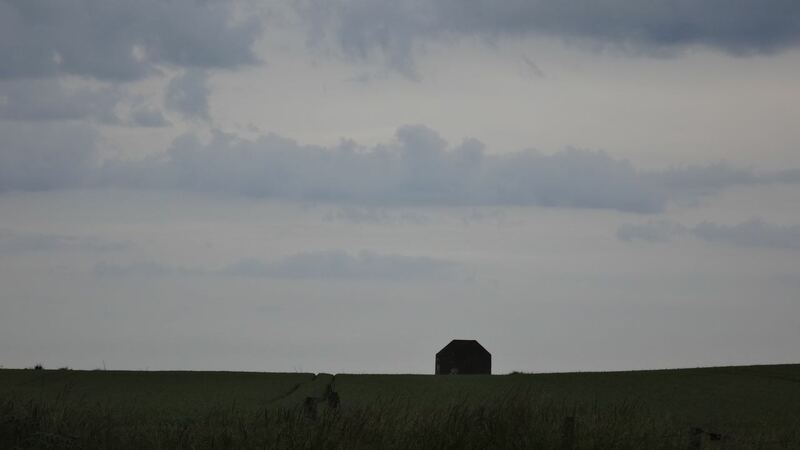 It is now a Scheduled Ancient Monument. Eerie. I’ve walked through the wetlands now and am back at the sea coast. Erosion is very visible. Or as Ronnie would remark when we visit the Thurstaston cliffs, ‘Geology in action.’ Indeed. That afternoon I’m off to Withernsea, up on the east coast, where the lighthouse was built inland, because of the eroding coast, so is in the middle of the town. 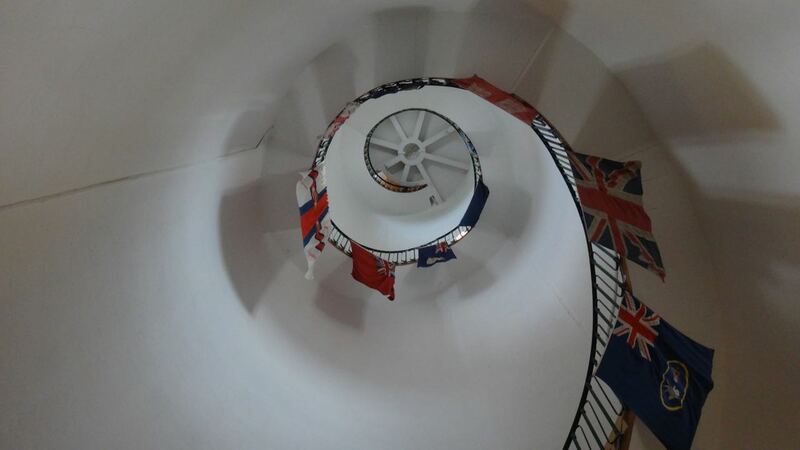 It’s no longer active but is a museum, and you can climb the steps to the top. 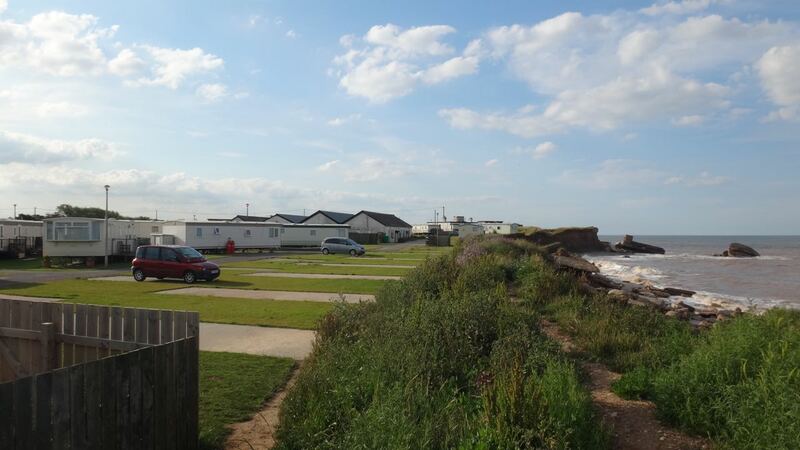 Withernsea is a seaside town, of sorts. A railway was built during the mid-19th century connecting the nearby city of Hull and making possible cheap holidays for Victorian workers and their families, as well as boosting Withernsea’s economy. The railway closed in 1964 though, so Withernsea has suffered from a decline in the number of visiting holidaymakers ever since. In the museum it describes the town as ‘struggling’. After lunch I visited the garden I came to see just outside Withernsea, a delightful plant diversion. 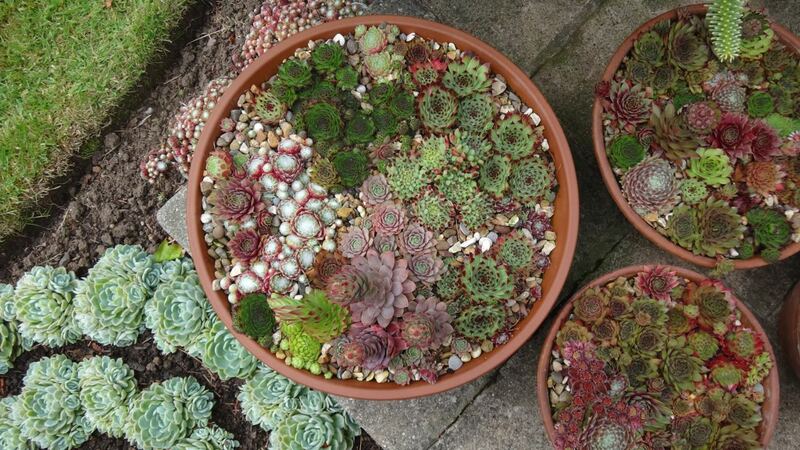 (More photos of the garden feature on my Monkey Map blog). 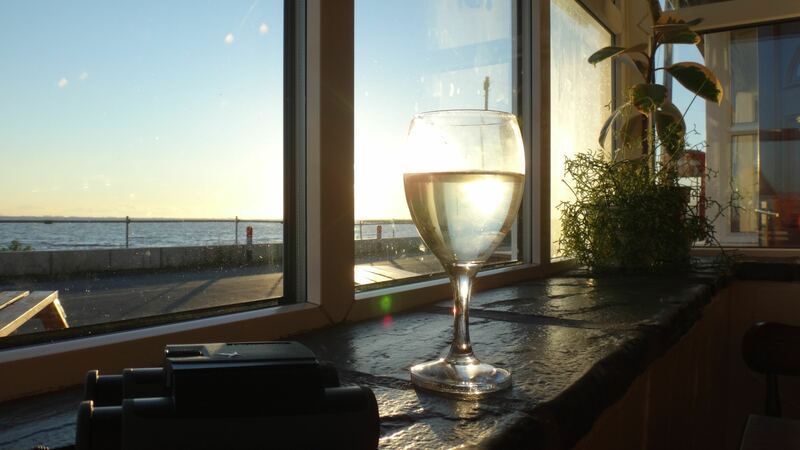 And the day ends again in the local hostelry looking out of the window at the light summer night. Although I am surprised to have the door quickly locked after me as soon as leave the pub, around 9pm. Wouldn’t like to be any trouble! 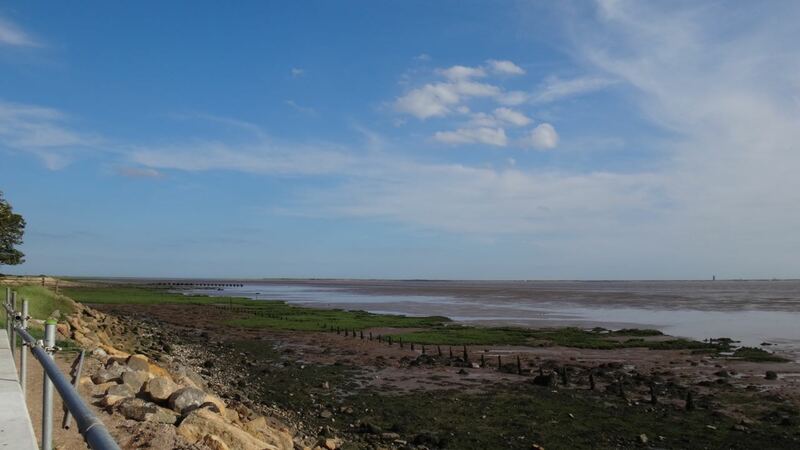 For my final day in the East Riding, I’ve decided to walk to Spurn Point. The description of ‘longshore drift’ remembered from my old geography text books, and that I’ve come here specially to see. There used to be a causeway along the peninsula and it was accessible by car. But in December 2013, there was a tidal surge and this caused ‘a breach’. At high tide the waves now wash over a section of the land, and the peninsula becomes an island. So walking there needs to be planned with the tides. 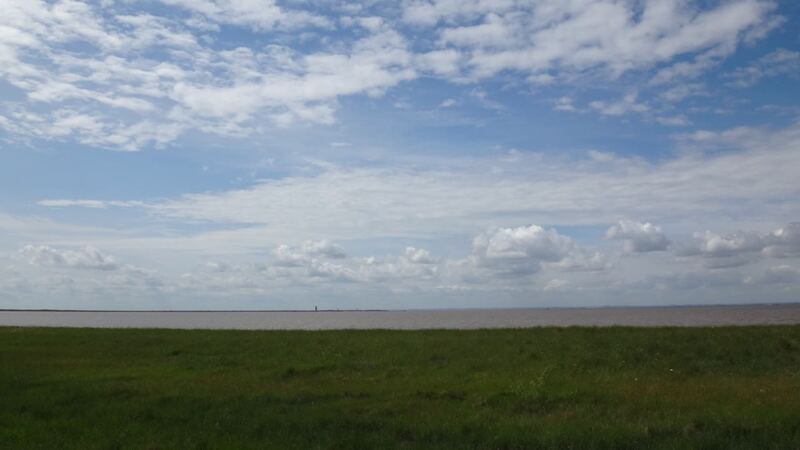 The lighthouse at Spurn just visible in the distance – yes I am walking there. 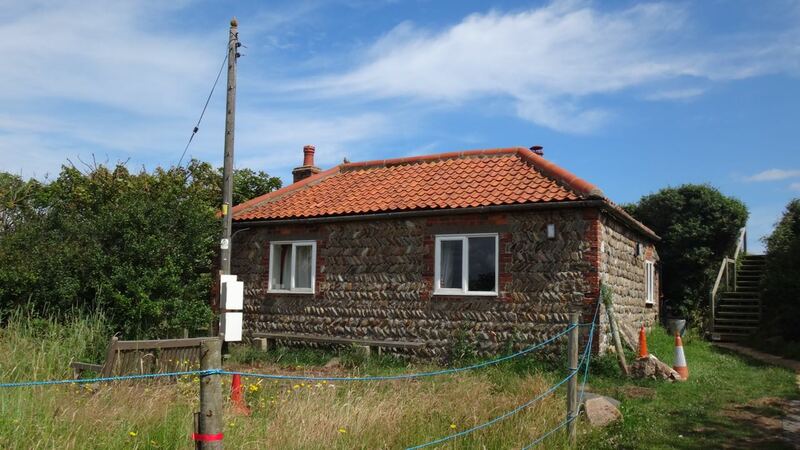 At the entrance to the nature reserve there is a collection of buildings, including this stone building the Spurn bird observatory where you can stay. It has the distinct feel of an allotment site, secretive. It’s sort of difficult to know what’s going on. I walk on. The remains of the causeway are visible. 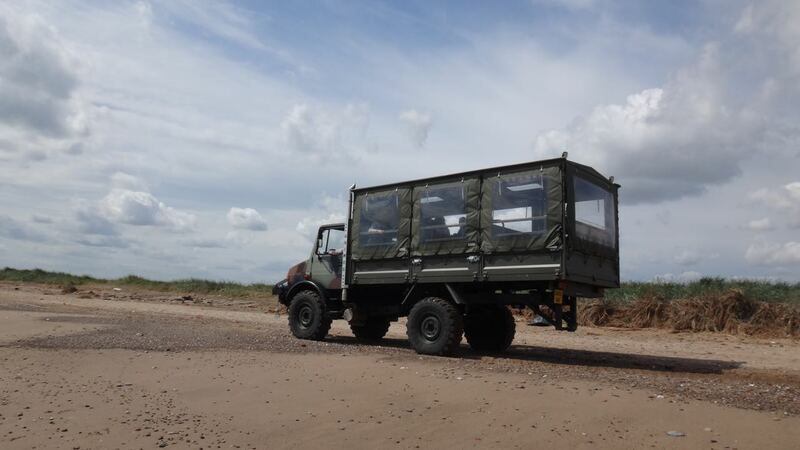 Since ‘the breach’ there is a vehicle that takes passengers along the peninsula – a Unimog run by the Yorkshire Wildlife Trust. Their newsletter only lists dates for it to run at the weekends, so I am surprised when it appears, on a Monday. They ask if I want to get on, but I don’t, I want to walk in this strange and beautiful place. Remnants of the causeway are visible everywhere in this part of the peninsula. 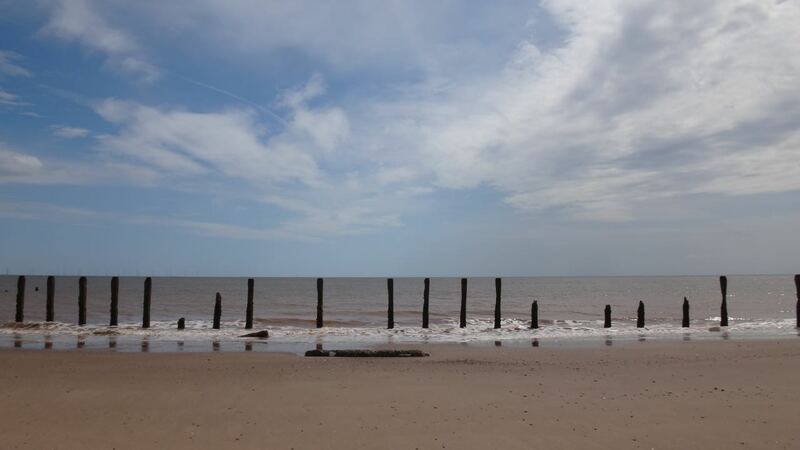 Spurn is formed from sand and shingle from the Holderness coast to the north, washed south by coastal currents, the ‘longshore drift.’ As the currents meet the Humber estuary, Spurn is created. 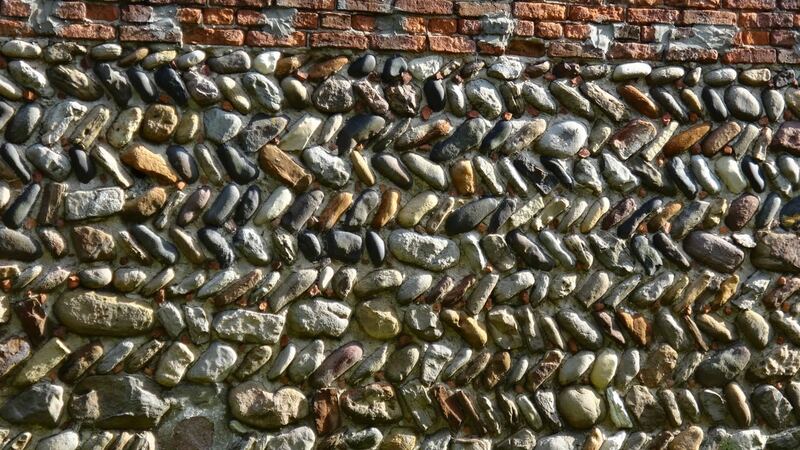 During the 19th century gravel and cobbles were collected from the end of Spurn – cobbles were used for buildings, like those I’ve seen. 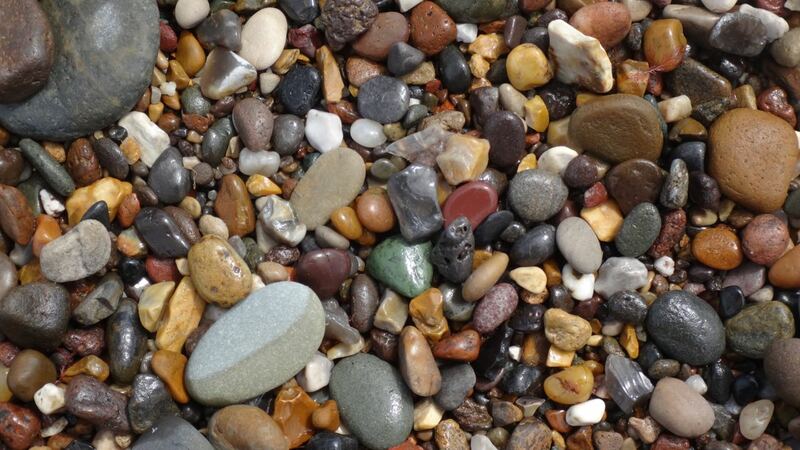 Stone was used for roads, building the docks and for cement and also as ballast for ships. Removing this much material – up to 50,000 tons per year – has contributed to the lack of material at the ‘narrows’, the thin section of the peninsula making the eventual likelihood of the breach that has now happened inevitable. It has had serious breaches before – in 1360, in 1610 to 1620, and in 1849 to 1856. After the last one the government stepped in and funded repairs. 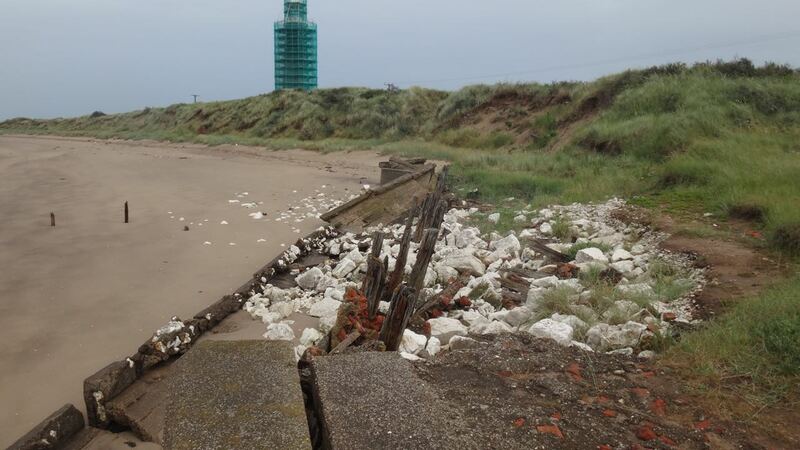 And for the next 100 years these sea defences to stabilise Spurn were maintained and developed. They included gaps filled with chalk (lots of white stone is still visible, and part of the peninsula is called ‘Chalk Bank’), groynes on the sea beach, sand dunes sandbagged with concrete and a sea wall erected. 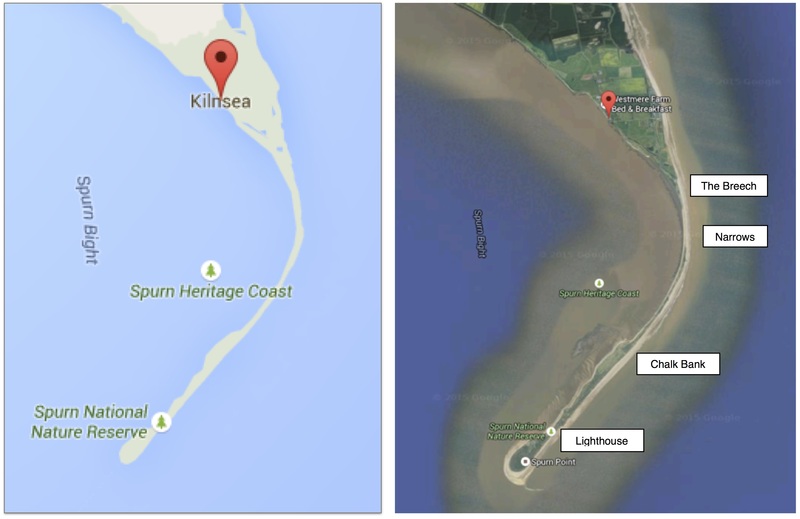 Spurn became an artificial peninsula. 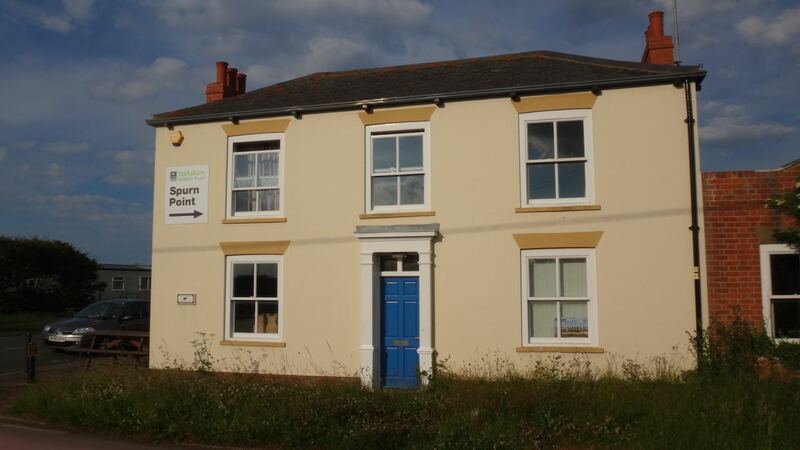 Spurn is the only place in this country to have a staffed lifeboat station, and up until 2011, the lifeboat crew and their families lived on Spurn. Because of this the causeway had been maintained so the families could easily leave the peninsula. But since 2001, the groynes and sea defences have been increasingly abandoned, allowing the peninsula to revert to the state of ‘natural regeneration.’ With rising sea levels, a breach was always likely, and in December 2013 a tidal surge did indeed break through the peninsula. The lifeboat families no longer live on Spurn, just the crews who work shifts. They use a Landrover to get on and off the peninsula. So it has become a much less populated place. 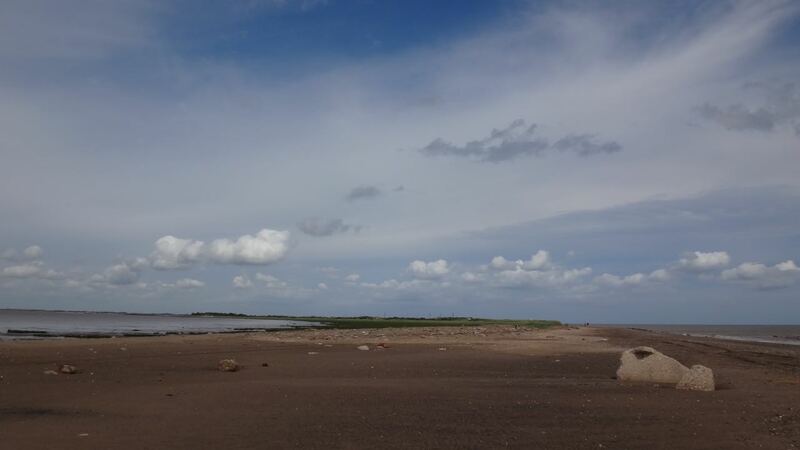 The ‘seaside’ element of Spurn is not accessible easily to families any more – it’s an eight mile walk to the point and back from the entrance. Many come here for the wildlife and it is famous for migration. Past the narrows and up onto the sand dunes. 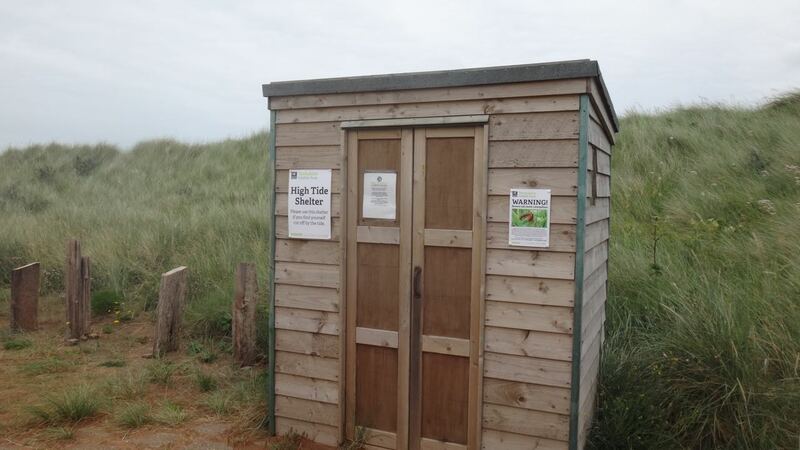 And just in case you haven’t left enough time before the tide, here’s a ‘high tide shelter’ (curiously containing a copy of The Watchtower). There is evidence of the road in other parts of the peninsula becoming very fragile. I’m still a long way from my destination, the lighthouse, just visible ahead through that abandoned frame. Another Pink Floyd album cover that never was? 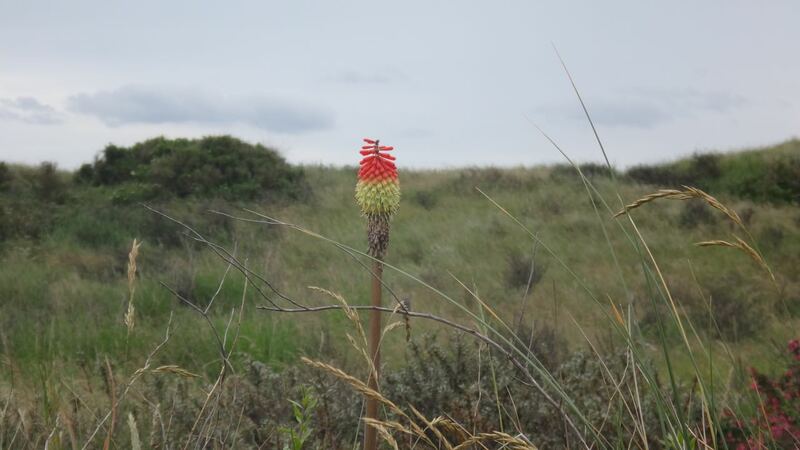 A garden plant, Kniphofia (red hot poker), catches my eye. And I am now experiencing ‘peninsula weather’, it’s turned grey and rain is washing across the narrow spit of land. But I’ve nearly made it. 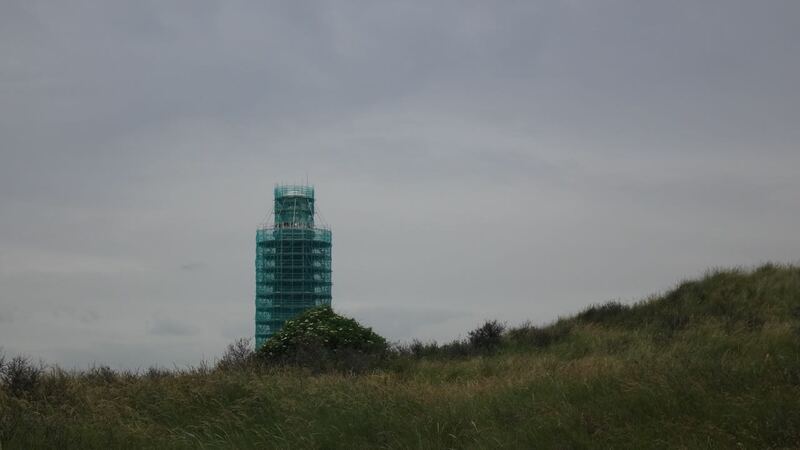 The lighthouse is a particularly handsome striped black and white building, but is covered up with scaffolding at the moment. 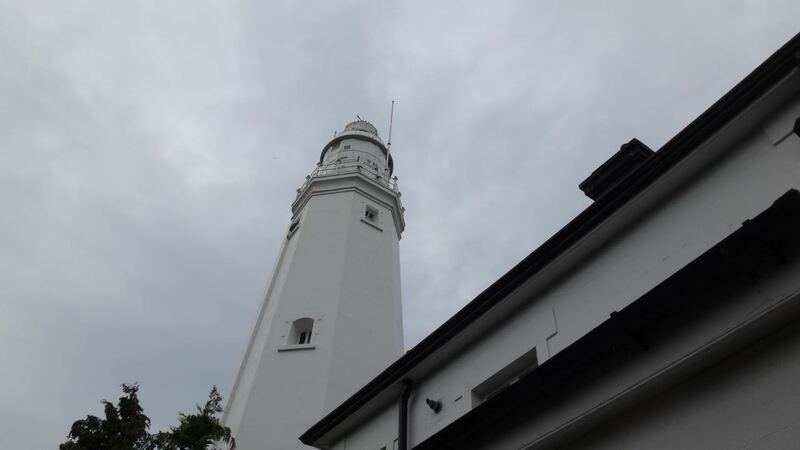 It has received a Heritage Lottery Fund grant and is being renovated. 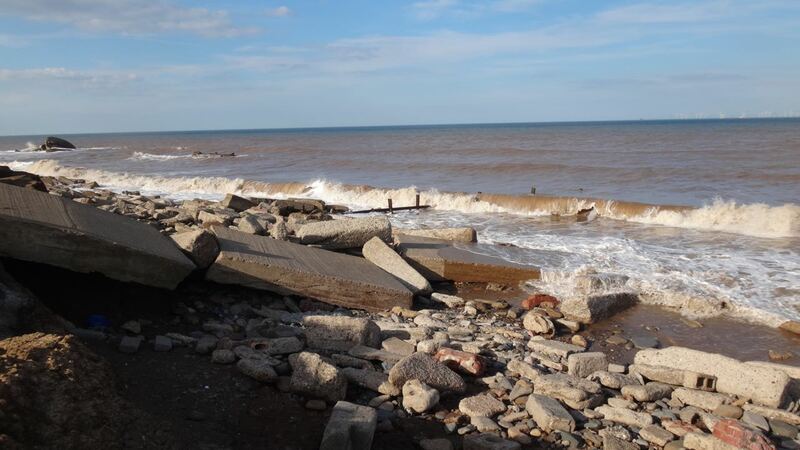 Funding was approved before the causeway was swept away – meaning access to the workshops and exhibis planned will be a severe problem for those that can’t manage an eight mile walk. It’s all going to be down to that Unimog! Spurn has two lighthouses, the older one is on the beach. I’m standing now on what was the car park. The lifeboat houses are in the distance. The car park wall is falling into the sea. 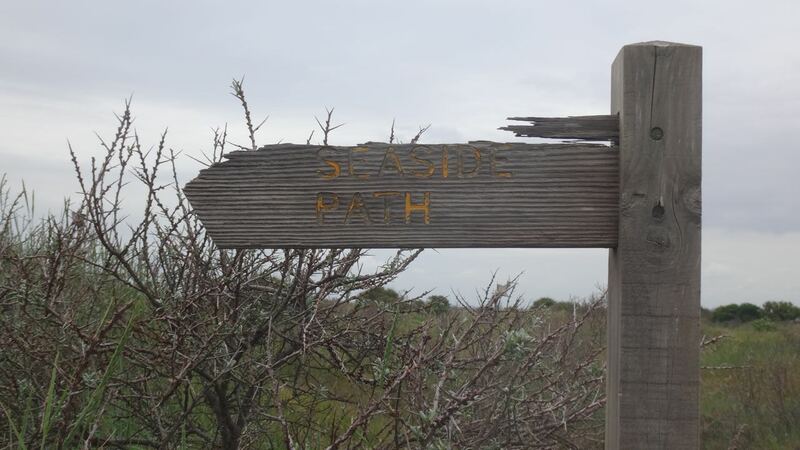 The seaside paths are becoming overgrown. So it’s a seaside with no visitors today. Except me. This strange and magical place that I will never forget. I return to my guest house, feet weary but content, having walked ten and a half miles in all. 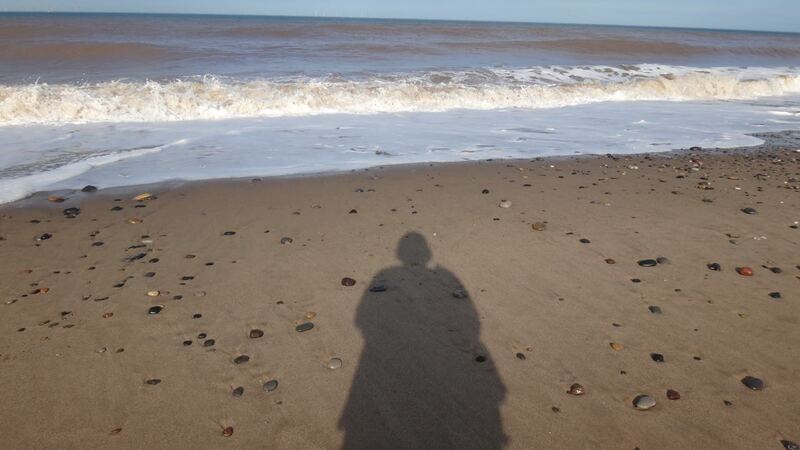 I spent time here sitting on the beaches just looking at the sea, and reflecting on how ferocious it can be. The way the road has been eaten up and spat out. It reminds me that we are so fragile. That nature is always in control. This is a wild place for sure. People will always want to come here, so I can’t understand why a new visitor centre wouldn’t be wanted. 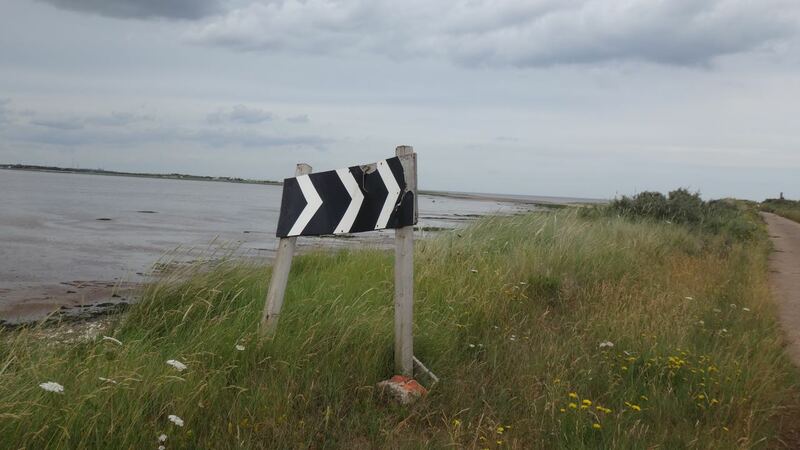 Keep Spurn Wild, or Keep Spurn Secret? That seems to be the local debate. And the best thing about my trip? 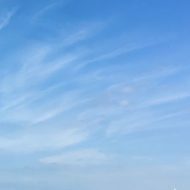 The surrounding of sea, sky and water. Magical. Howard M Frost, Sailing the rails: A new history of Sprun and its military railway. 2001 (Original story told by Ken Hartley who collaborated with Howard on revised versions). 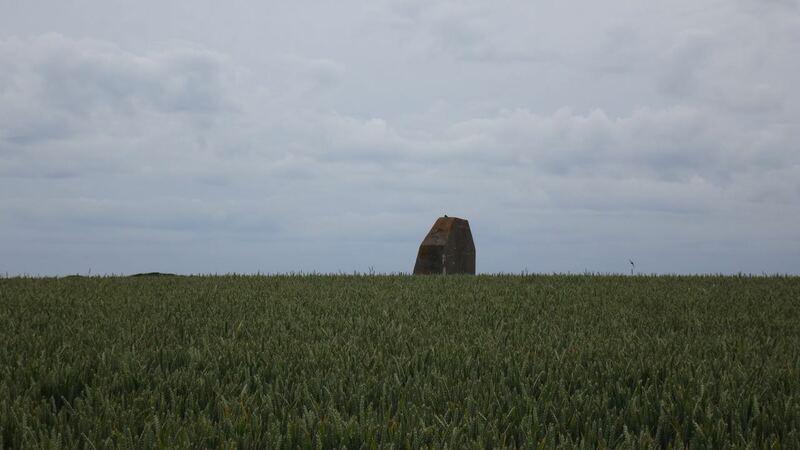 Also useful was Wilgilsland, the website of Peter and Jan Crowther has lots of information about the area. More, much more on her love of nature from Sarah over on her own ‘Monkey Map’ blog. Sarah may well reply for herself Jan, but from most of what she’s said to me since her 3 days in Kilnsea I can tell you she felt distinctly unwelcome. Though she really liked the place and the people where she stayed, in the pubs that locked the doors behind her, the taxis so slow to arrive and with all of your looming signs she felt distinctly not wanted. So I understand you may have issues with the siting and design of the visitor centre that an energy company is funding, but ‘selling postcards’ hardly sounds like the worst thing that could happen. Surely you’d benefit from a bit more nature tourism, surely it would be good for your existing businesses and the general prosperity of your place? But you’ll need to work on the ‘welcome’ or people won’t be back. Oh dear. That is sad. The pub landlady is a law unto herself and I won’t comment on that. The area has always been a remote and somewhat strange one, and many of us glory in that, which is why we don’t want it to be ‘developed’. 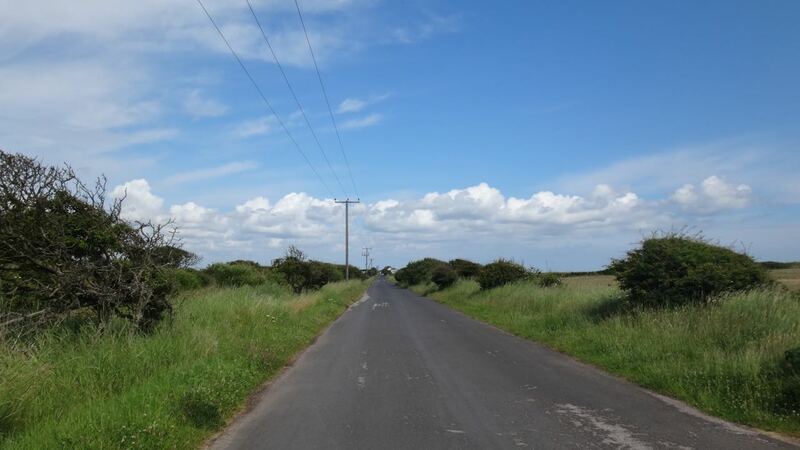 I think if you look at the comments on our ipetition (see the link on my web site Wilgilsland under the page Keep Spurn Wild) you will see why people want the area to be kept free from too much commercialisation. There aren’t many places left like this. And of course when the road went and people couldn’t drive down the Point any more everything changed. Kilnsea itself was never the lure. The peninsula was where everyone wants to be but now it’s a hard slog down there. 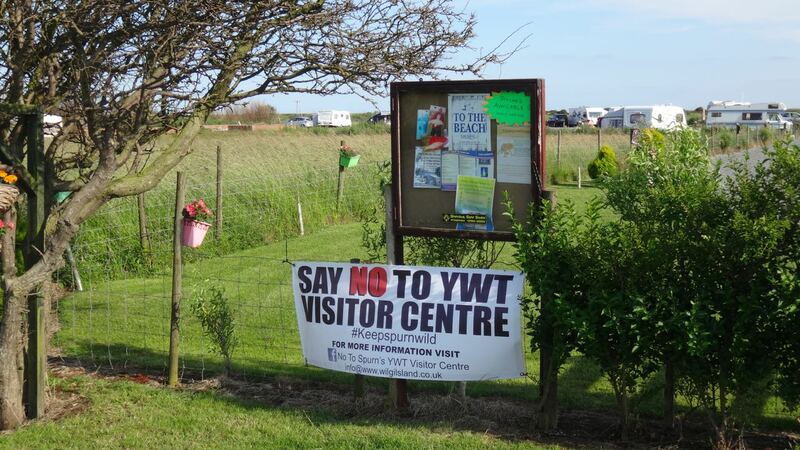 Really the Spurn Heritage Coast isn’t a tourist area. 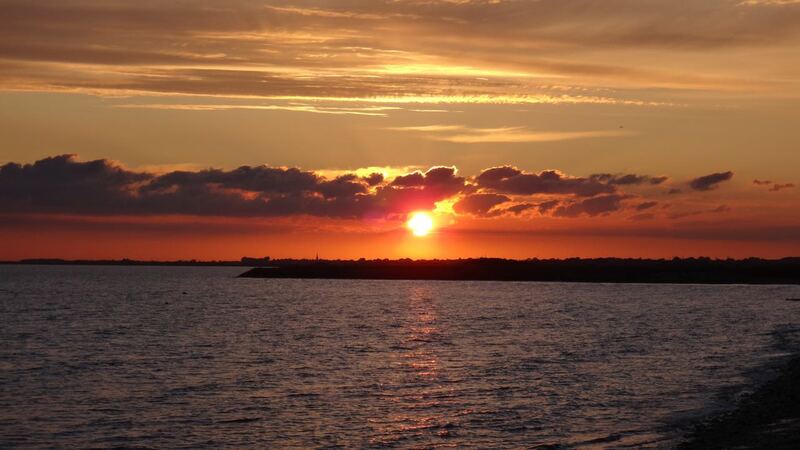 It’s an unusual natural place which is loved by its visitors for its essential wildness. We are trying to retain that, and that is what the campaign is all about. I’ve written a book about the area, loved it for over 30 years, love it when people ‘get it’ and come back time after time. And also I feel this blog shows that Sarah ‘got it’ too. I hope she comes back, but I hope she finds it essentially unchanged apart from by the inexorable erosion which we can’t do anything about. Well said Jan, and I hope you work out a solutionn that suits everyone. Still feel you’d be better off with a better welcome though. You’re never going to be swamped by visitors but, as you say, it’s a uniquely wild place that’s therefore of interest to more than just the few of you who live there. Hello Jan, thanks for reading, it’s good to hear from you. 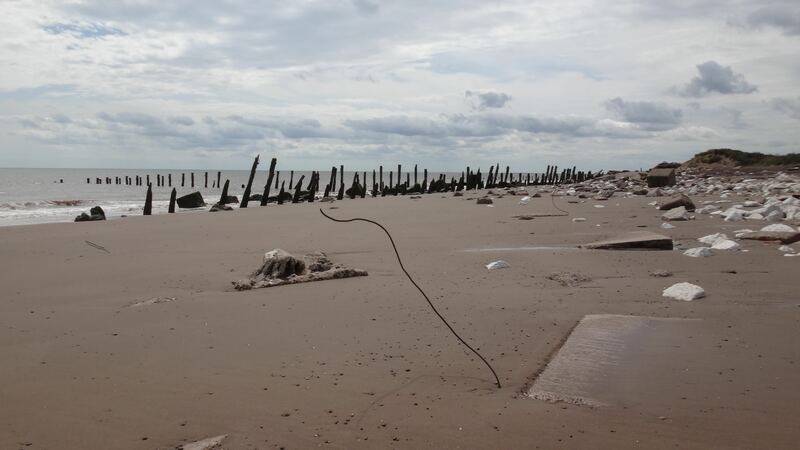 Spurn is indeed a very special place, and because of that people will always visit – as they have done for decades now, as you say it is Spurn (not Kilnsea) that is the attraction. 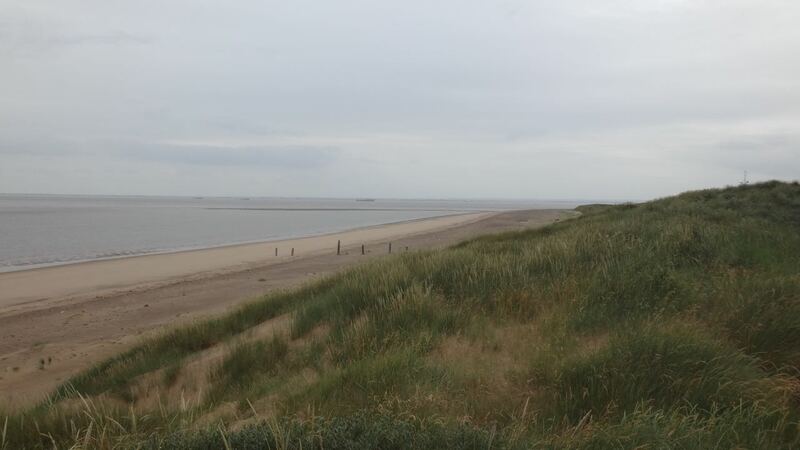 Getting to Spurn Point is now a long walk, but you could help visitors by providing transport, like the Unimog, and having a ‘base’ for that with a regular timetable, that would be great I think. When the lighthouse is opened again then people will definitely want to visit that. It’s understandable that you are protective of the environment, especially given how fragile it is, but providing ‘something’ for visitors seems like a good idea. It also gives an opportunity for you to educate people as well and share history with them. So I think it’s about finding something that is in balance with the local area, in an appropriate location, and I wish you all the best with that. And I would have loved to find some good postcards to send home while I was away so I could show everyone what a magical place I’d found! Regarding the Unimog this is a tricky one. The area over which it has to travel has long been regarded by Natural England as needing special protection and whenever new sections of the road had to be created Natural England had to give permission. Now the Unimog is sometimes damaging the remains of the sand dunes I don’t think there can be more than two trips every week maximum if Spurn is to be protected. Regarding providing something for visitors, the cafe is due to reopen next week (it’s been closed for more than a month) and then it will be back to normal service. 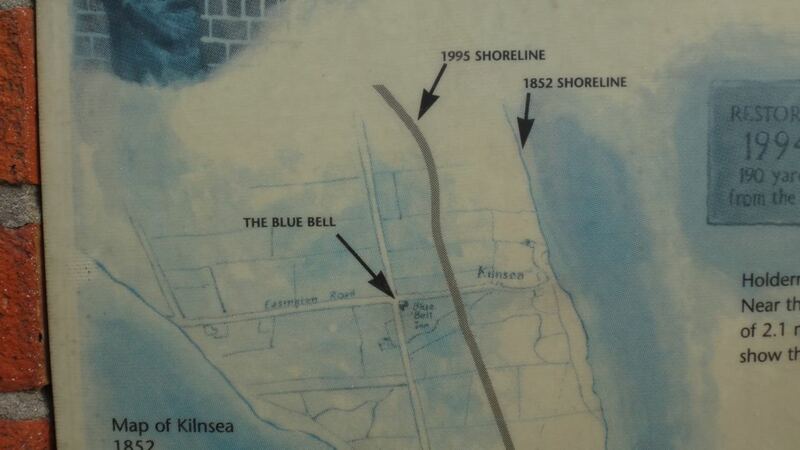 But as you will have seen, Kilnsea is a small hamlet almost surrounded by water with only one road. It has never experienced hordes of visitors except when there is a rare bird, and has always been seen as a place people drive through in order to reach the peninsula. 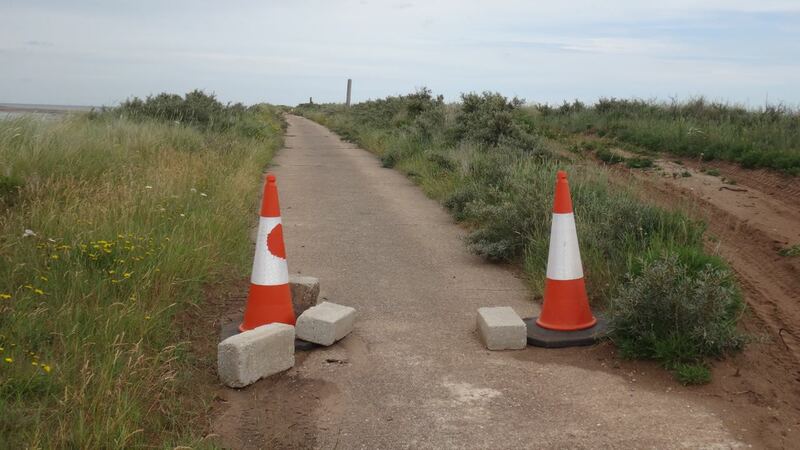 I think people are now realising that if they wish to visit they need to be prepared for a long walk to reach the tip of Spurn. I’m assuming that the YWT will provide some refreshments at the lighthouse for those able bodied people who can do the walk. Kilnsea holds nothing like the lure that Spurn does (much as I love it). 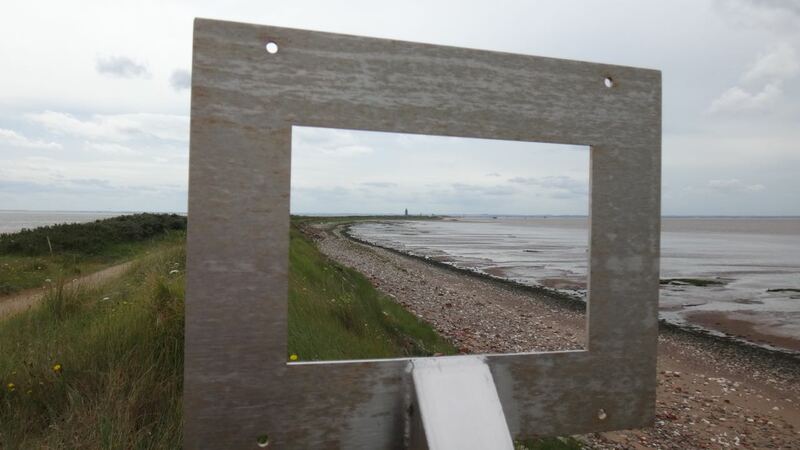 You might like to look on YouTube where Pete (my husband, who died recently) and myself have put various videos of what it was like when you could visit Spurn easily. 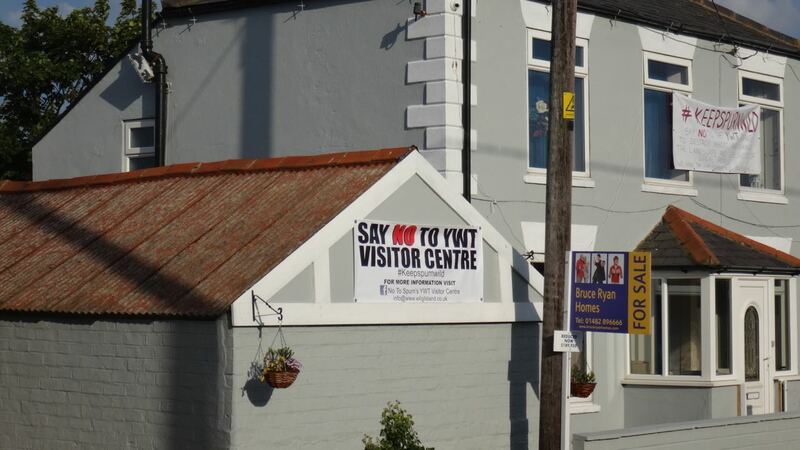 Locals, regular visitors, are all united in thinking that a commercial visitor centre, whilst appropriate in places with large hinterlands, is totally wrong for Spurn. I think you may agree, as a person who experienced the peninsula on your own, that it’s a place which isn’t right for large numbers of people. 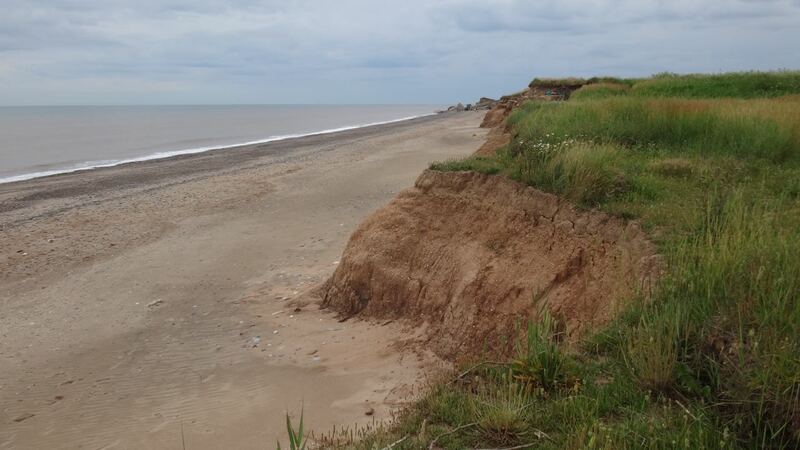 When people drove down they used to say how refreshing it was to go to a place which is uncommercialised, and they would take their picnics into the dunes and Spurn would absorb them. Little Kilnsea can’t absorb large numbers of people like that. Anyway it’s clear that you enjoyed your visit and I’m sorry that you got an impression that visitors aren’t welcome. I can assure you this isn’t so. If you decide to return please let me know and I hope I can show you what a friendly place it is. Wow! What a superb blog. 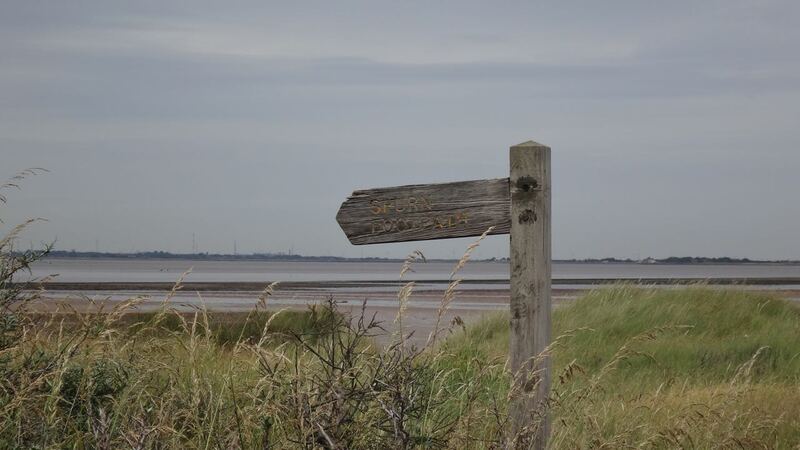 Just got back home from running a military heritage Safari on Spurn with 17 very satisfied guests who felt welcome and were totally bemused by the various signs on their approach to one of the UK’s best nature reserves. 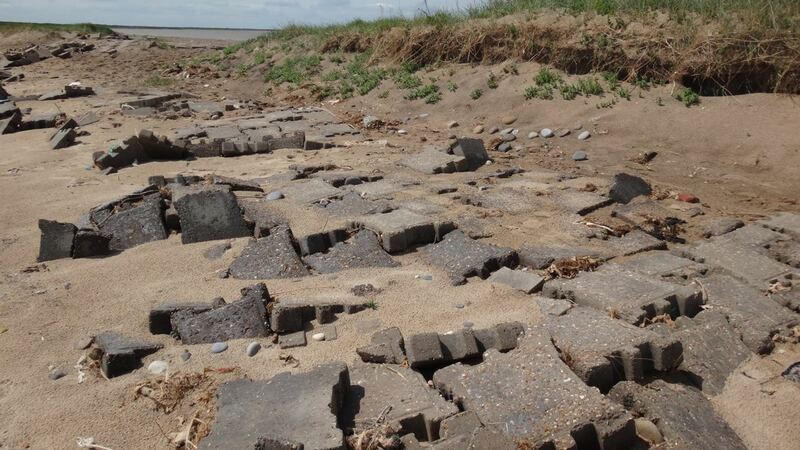 The lack of a road has now made Spurn even better than it was before. One lady came up and said ” I cried when the road washed away, but that Safari was great and I am very happy for Spurn now.” The reduced disturbance meant we observed common and grey seals safely hauled out on the beach, roe deer at Chalk Bank, broad-bodied chaser and hundreds of butterflies, from the mobile hide that is the Unimog. 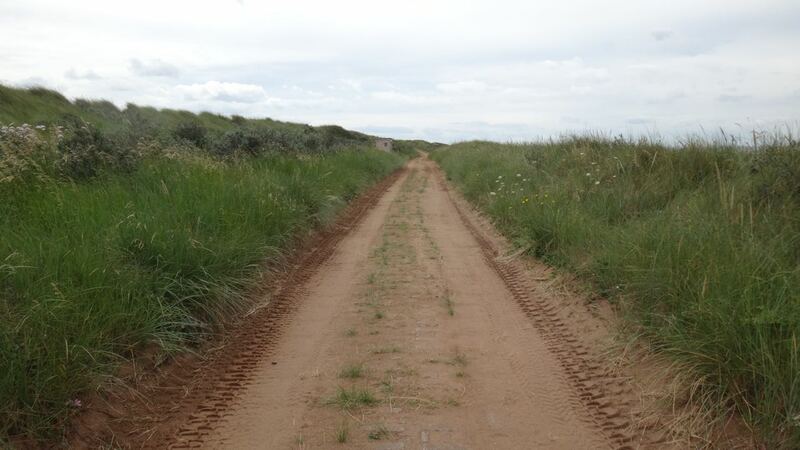 For your information we do agree a specific route for the Unimog with NE and drive very slowly over the sand areas. This has very low impact as the tyres are specially inflated to have very low ground pressure. 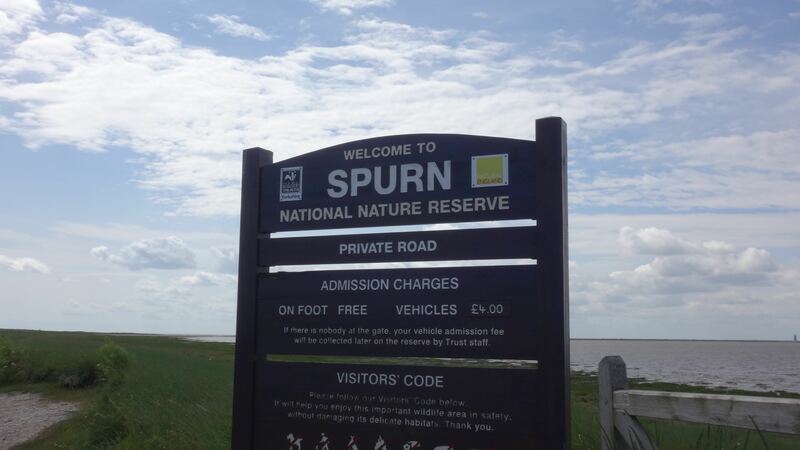 I have known Spurn for over 45 years and grew up in the area. Definitely a local! I have a passion for the place and believe that the only way to protect this most precious jewel in the crown and promote conservation to a new audience is by providing suitable facilities for visitors who will come to marvel at this extraordinary landscape as you did. It has been proven by many wildlife protection schemes around the world that the only way to improve the protection of landscapes and wildlife is by showing new audiences the wonders in a carefully planned and managed way. 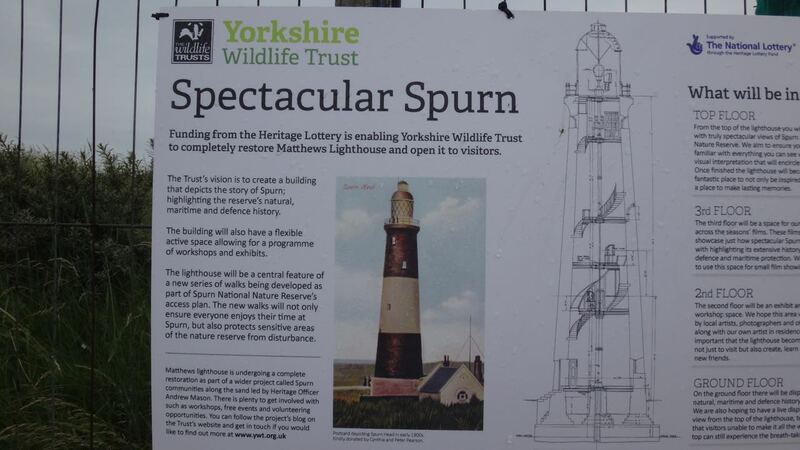 Spurn is held in trust by the Yorkshire Wildlife Trust and should be available to anyone who wants to visit it. Not just a select few. 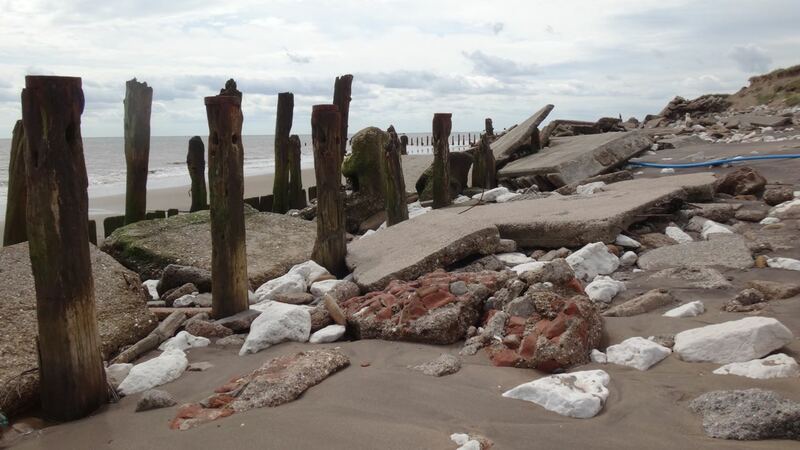 Spurn has a rich heritage too. Tonight I promoted Jan’s excellent book about the history of Spurn and Kilnsea – People along the Sand. It saddens me when I hear that visitors do not feel welcome. Myself and the Yorkshire Wildlife Trust are trying to make Spurn a very welcoming place for people who appreciate wild places. Some try to pour scorn on our efforts but we will remain professional and steadfast in our commitment to making Spurn even better than it is now. Would you mind if we published this on our website? Sarah, your acquaintance with Spurn is recent and I wish you had known it when it was more easily accessible, but the Yorkshire Wildlife Trust has owned it since 1960 and has treated it for many of those years with a kind of benign neglect, taking car money but not spending it on the reserve. For decades people asked them to put toilets on the Point and it would have been easy for them to do so, but they never did. 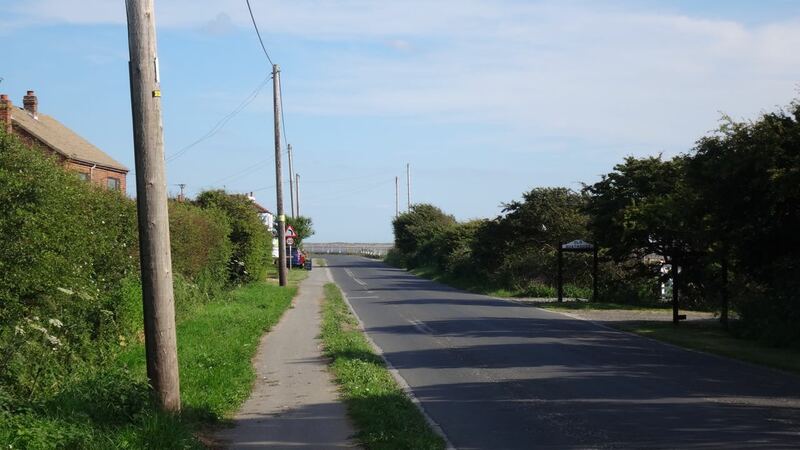 Now a wind turbine firm is giving them almost a million pounds (and virtually nothing to the local community) to develop the little village of Kilnsea into a tourist attraction. Are you surprised we don’t want it? The owners of the local shop do not want it, most (almost all) of the residents of the parish don’t want it. They would like EON to put some money into local organisations. The Youth Club for example. I’ve looked at best practice for community funds from wind turbines and I don’t think there are other examples of such blatant ignoring of the wishes of the community. So, believe me, all we want is to be able to enjoy this lovely unusual area as it is (so far as the encroaching sea will let us), to welcome visitors who want to enjoy a very special place, fairly untouched by too much commercialisation, to work together amicably with those who want the best for this area. This debate is very polarised. One the one side is a wildlife trust which is reinventing itself as an organisation to promote tourism, on the other side are birders (the Spurn Bird Observatory is totally opposed to the destruction of the Triangle Meadow), naturalists, many many visitors who have come to Spurn because of its wildness, local people, both in Kilnsea and Easington, and the whole of Holderness, and, believe me, just about everyone who cares for the place. 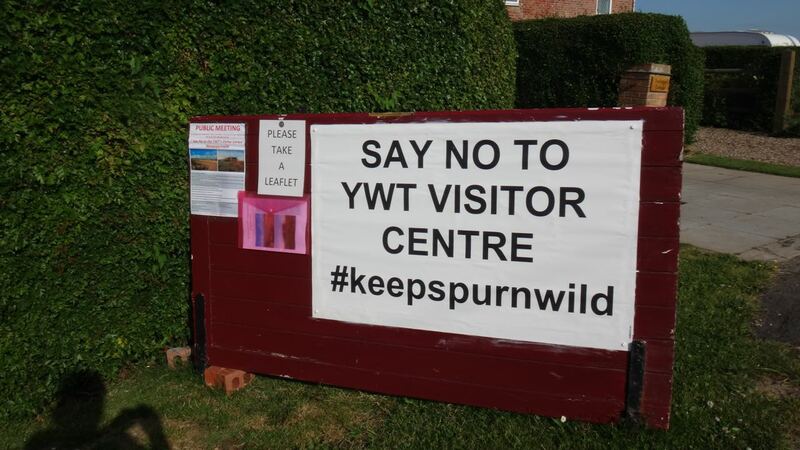 Obviously you will get a different picture from people who work for the YWT but even some of them are uneasy I think about the destruction of habitat which will ensue if the plans for the Centre go ahead. So Sarah felt spurned by Spurn. Good to have such a short comment on this one Pak!